As most of you hog followers on facebook already know, Ymir was greenlit last week after 11 days. I’m really happy that it went pretty smoothly and gratefull for all the support , votes and sharing you guys did for the game! Also thanks to Elissa Park for doing this new voice over in the updated video presentation for the Greenlight. This had kept me busy for the last weeks and now back to regular development. I’ve finished the basic functionalities of the editor. I added the support for “primitive spawns”. Primitive spawns are regions that can potentially host a primitive tribe when the game starts. Basically a player spawn, as when a player joins the game he takes control of one available primitive tribe. When a map is generated, it randomly sets some regions as a “primitive spawn” ( generally regions with a natural source of fresh water like lakes and rivers ), but this flag can be set manually in the editor when creating custom worlds. For exemple this way you can create a world with continents where no player can initially spawn on. These starting resources will probably change as the game gets balanced, but the tech to allow specific resources for starting regions is here. 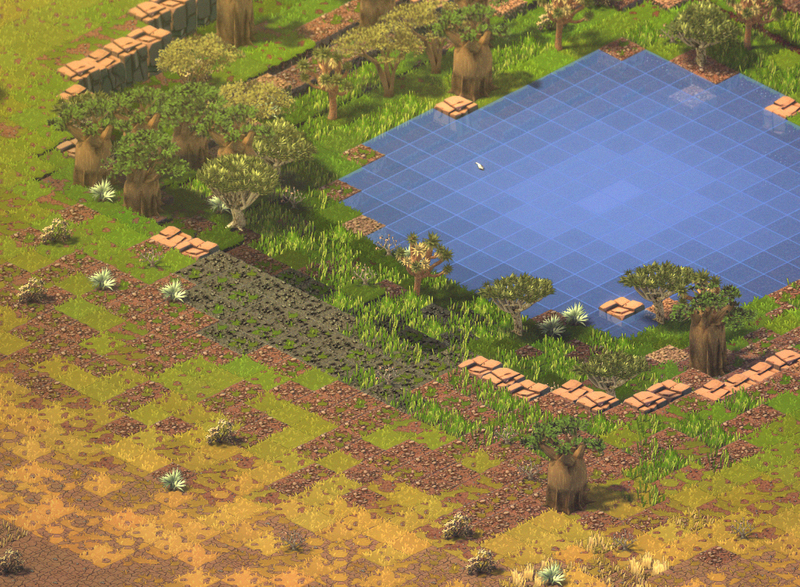 A small fresh water source will spawn in regions flagged as “primitive spawns” when they lack any natural source ( like rivers or lakes ). 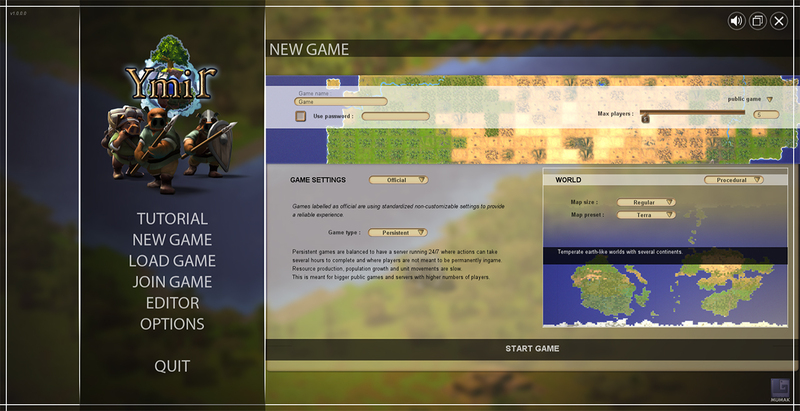 Also i now started working on the game creation setup and the “New game” menu. You can choose between procedural and custom maps. A custom map is a map manually created in the editor. 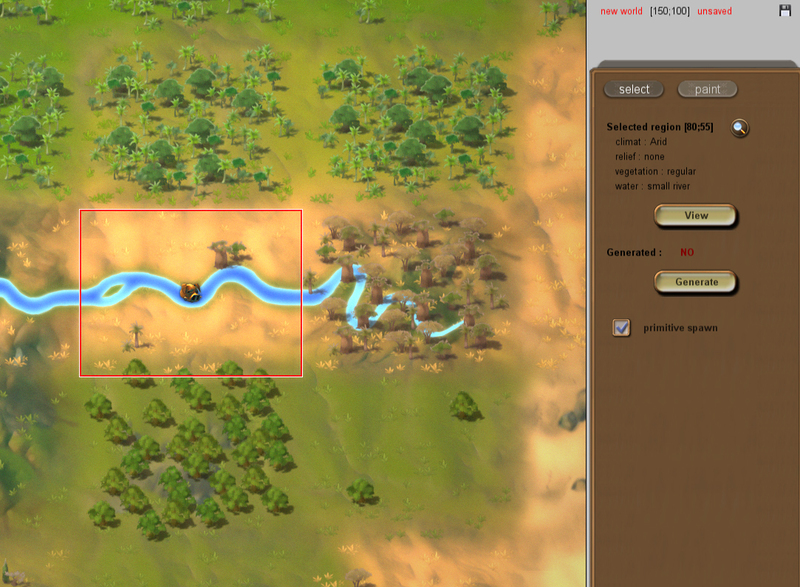 A procedural map is generated automatically with different settings. You can set these settings yourself or use presets like “Terra” that generates standard Earth-like maps. Game settings have 2 different modes : Official labelled games and custom. In an official game, you cannot customize settings and -if ever one day- mods will not be allowed . Official games offer standardized game-balance and speed presets for a reliable game experience so players won’t have to struggle looking for real “vanilla” games. Theres is for now 2 types : persistent and real-time. Persistent is the official preset made for games meant to be run 24/7 in a more “MMO” experience, with higher player number and where players are not supposed to be ingame all along. In this mode things like resource production , population growth or units movement on the worldmap are slow and balanced for a server running permanently. 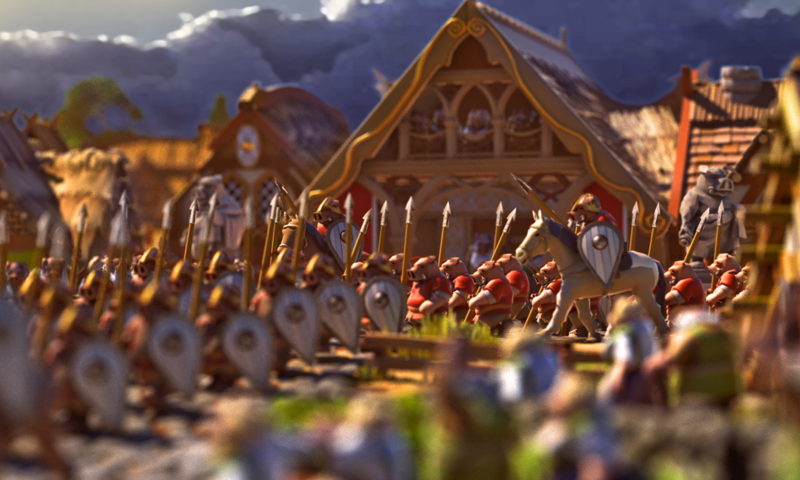 Real-time is meant for smaller games, such as a private game played with a small group of friends and where all the players are supposed to be ingame at all times. This is a game meant to be played, stopped and reloaded for the next session, and where things like resource production will be fast enough to keep players busy in real-time. Think Anno in multiplayer. After that, i can start discovering and learning how this all works and test/continue the development in steam, which will take a while ( that’s why i needed this greenlight this ‘early’ ). 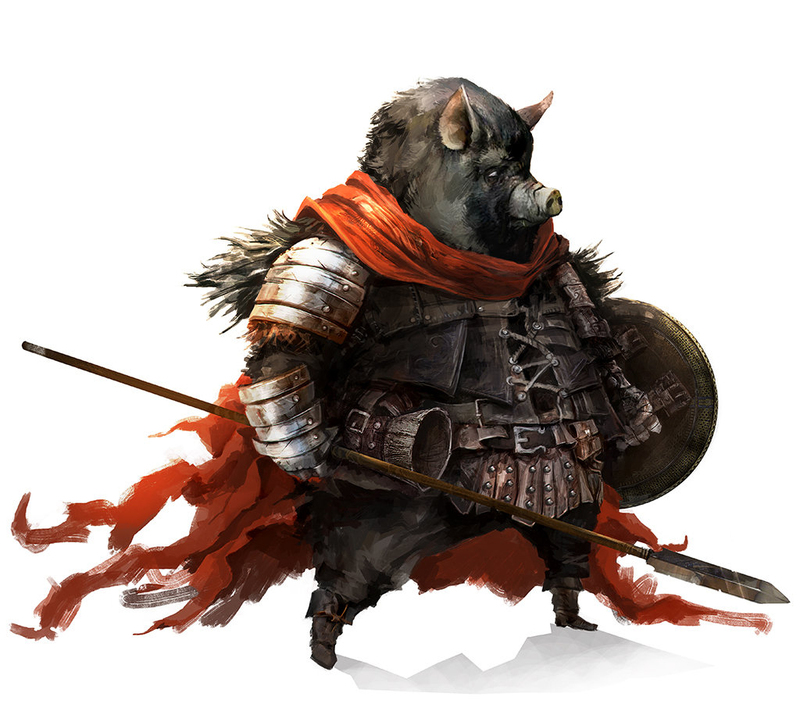 This is it gentlepigs, today we signed up Ymir on Steam greenlight. This is the first major milestone for the project, and now more than ever we need your help to support Ymir and share this news. Why the greenlight now even though the game isn’t finished ? Greenlight is critical to gain access to steam so we can test and develop the game within its final aimed environment as a final product ( exemple for accounts, server management and listings etc ) but also to be able to easily organise alpha and beta testing as the development goes. It is of the highest importance that you vote for us on greenlight and share this to everyone you can! And i mean EVERYONE!